Ok, let’s be clear. Some people are not clever enough to be in business! If you cannot count and are selling a $100 item for $80, you should really add the word “charity” somewhere in your business name! This series of articles will not help you in your quest to become Father or Mother Christmas! However, if you really know how to count, studies show that there is still a 70% chance your business will fail! I therefore thought a quick and easy guide on avoiding the common reasons that African small businesses fail would be of benefit to my readers. How to avoid it: Say “cash is KING…cash is KING…cash is KING” – when you wake up, and before you go to sleep! Then do the following two things. If you run a service business such as a construction contractor, you may be very happy to win a $10,000 job that will cost you $8,000. Although your profit is $2,000, it is very important to take into consideration WHEN you will be getting paid for the job. If you do the job in January, you will need to pay out all the $8,000 to cover your costs of materials and labour in January – but payments in to you will not happen in January. If you are lucky, you will get 50% payment for the contract ($5,000) in January, but that will still leave you $3,000 short of cash. This scenario will repeat itself. Say you get another contract for the same amount in February. You now need to find an extra $8,000 for materials and labour, but you were already short $3,000 – so the total shortfall has grown to $11,000! And does it really matter that you are making $4,000 profit on the January and February contracts, if you are scrambling to find, steal and borrow $11,000? 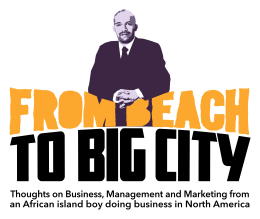 Imagine a business like building a sandcastle on a beach. In the example above, you need to dig an $8,000 deep hole, and in return you get $10,000 worth of sand to fill it back in. You will keep needing to spend on salaries, materials, running costs for new jobs, and therefore you will constantly be digging that hole. The trick is to make sure you get sand to fill the hole at the right time, so that you start seeing the sandcastle, rather than seeing the hole! Once you understand it, plan for it. YOU need to do this every week. Use an accountant or banker only at the start of your business – maybe once a year also - but every week, it is really up to YOU to make sure enough sand is filling the cash-flow hole. Go to the 'business tools & forms' section, where I've added a simple method of planning your cash-flow using pencil and paper . I have also added a spreadsheet version there, for those of you that have a computer. Your aim is to make sure that even if you’re digging the hole every week (cash out), there is enough sand filling back the hole (cash in) during the week. 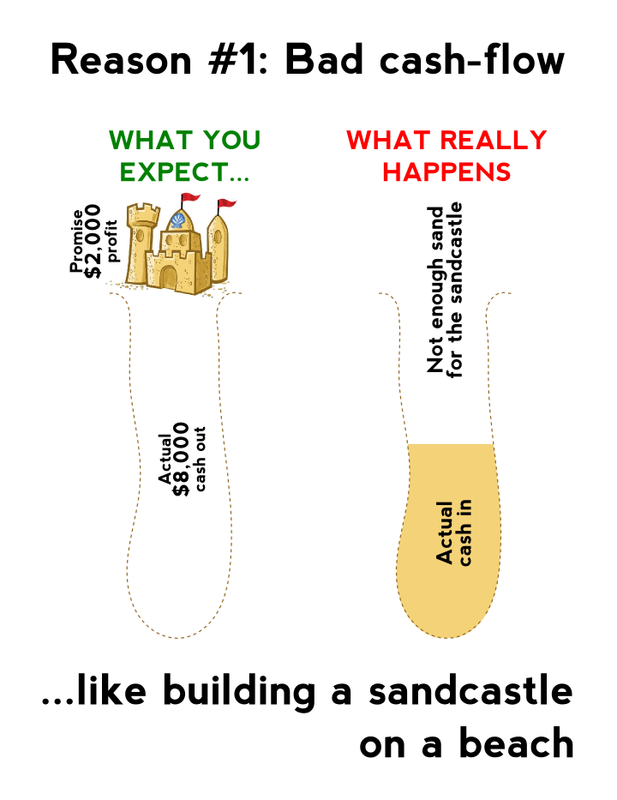 Yes, all businesses borrow money to help maintain a (cash) balance above the hole, but that is not real profit and that is not how you build your real sandcastle.